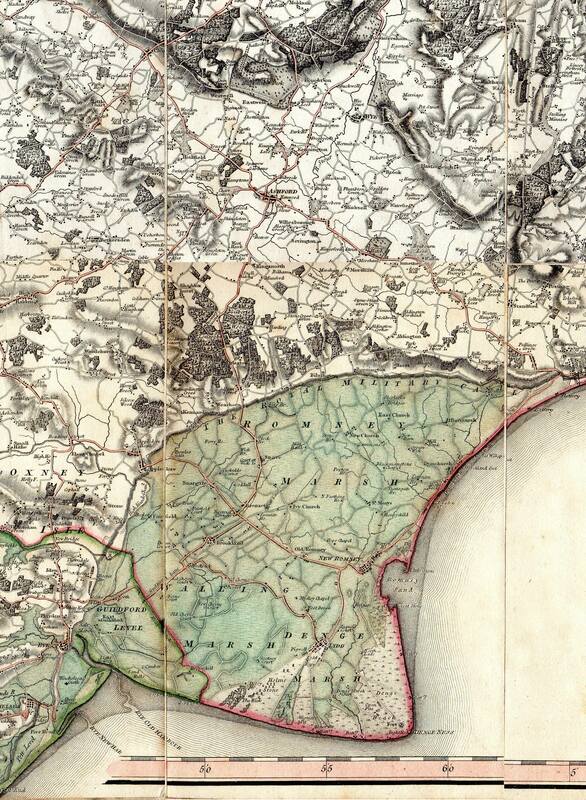 A Rare Map of Kent. 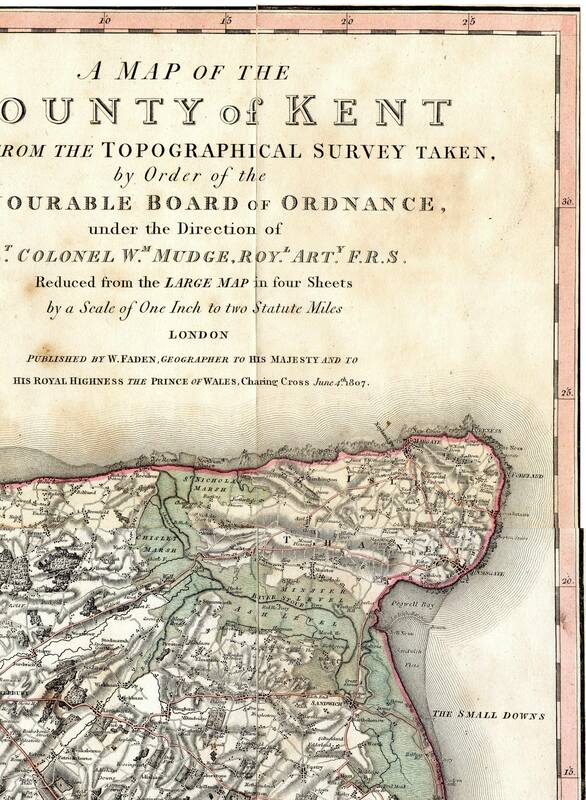 The 1800 Ordnance Survey one inch Mudge map of Kent is well known and is well illustrated on the web. 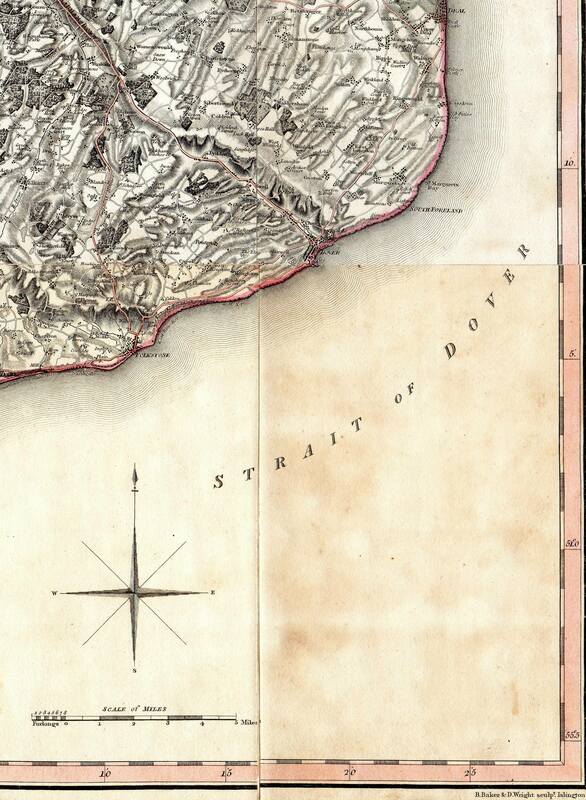 This 1807 half inch to the mile version from the same master plan and the same publisher is much scarcer. A comprehensive search of the internet has found very few references to this map. No images were located. 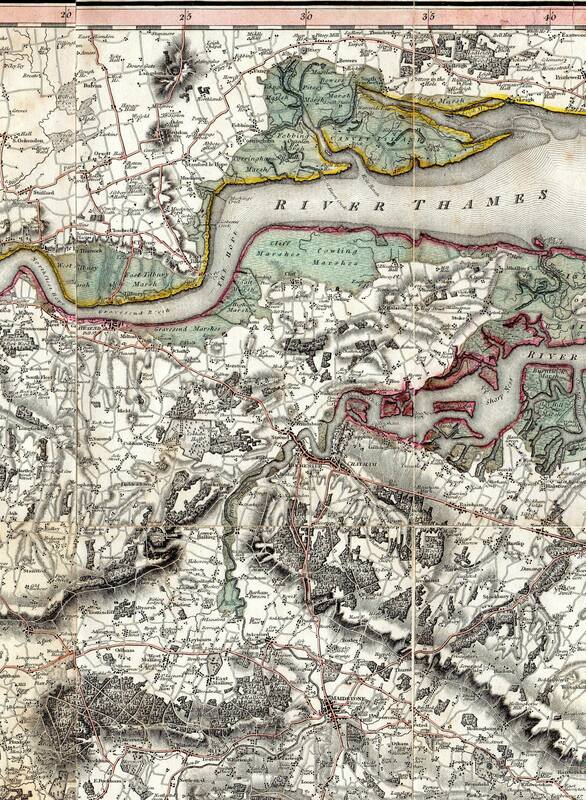 A detailed scan of the map is available for viewing here for those interested in the early mapping of Kent. 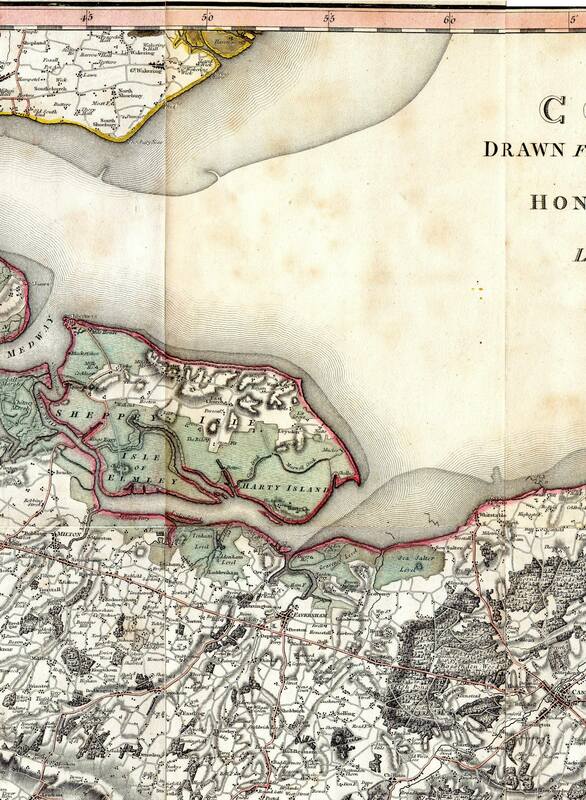 This map shows Kent a few years before the 1809 revision of the one inch Mudge map. 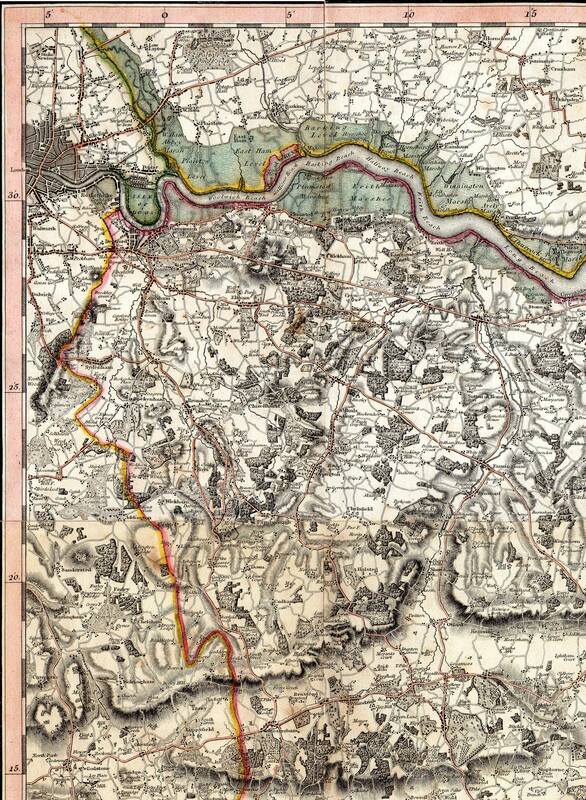 Some areas of Surrey and Sussex not shown in the one inch map are included here. 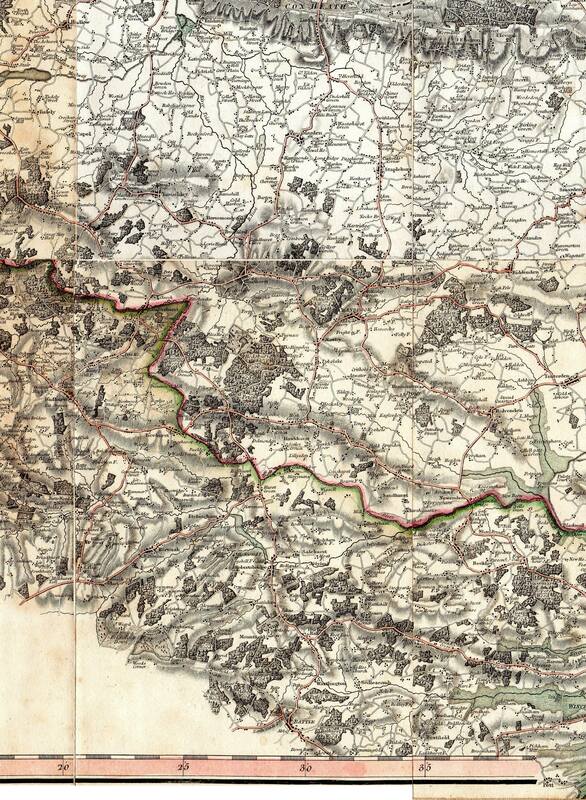 The map is in the first issued state. It was continually updated until at least the 1890s. 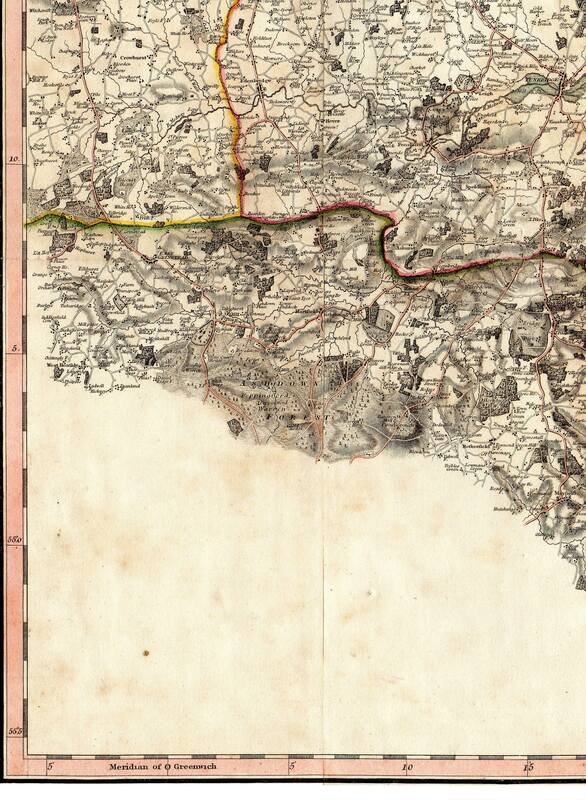 Click on the MAP button to view an image of the whole map (24MB), or any other button to view an eighth of the map. n.b. I recently noticed that the makers of this map made a serious error. The southmost latitude values in the South West (2A) and South East (2D) corners are given as 55°0&apos; and 55°5&apos;. These should be 51°0&apos; and 50°55&apos;.